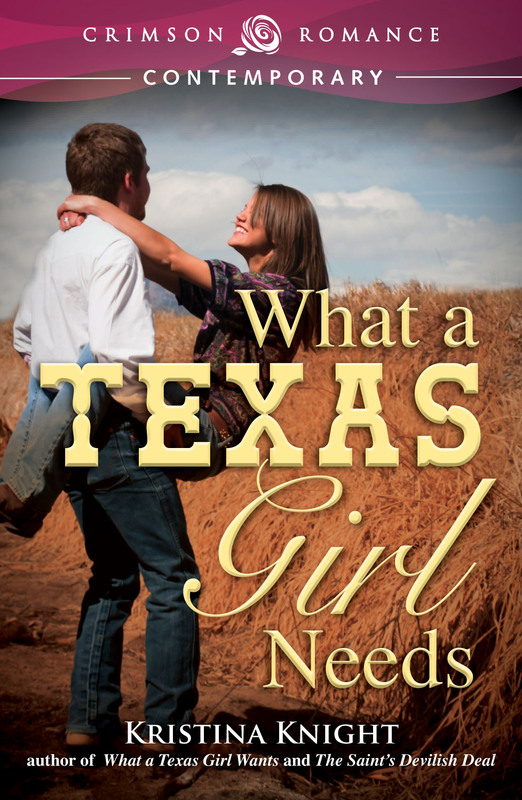 The second book in Kristina Knight’s best-selling Texas Girls trilogy! Vanessa Witte is ready to finally claim her life. The middle of three daughters born into the Witte family – a powerful Texas name – she’s been content to float through life. Being dumped by her shady ex? A blessing in disguise. Having a one-night-stand with Matias Barnes? Not one of her more stellar moments. But she’s back in Lockhardt with a secret and a reason to start fresh: A baby. Matias Barnes knows all about society women – it’s part of the reason he left his wealthy family behind and took a job on a ranch. He doesn’t like the endless string of parties, the inane conversation, or the gold-digging tricks those women have perfected. But that doesn’t stop him from wanting Vanessa Witte. Mat knows she’s so not right for him, but with her back in Lockhardt, can he resist her charms long enough to really let her go?